Former Bigg Boss contestant Mandana Karimi, who recently filed a domestic violence case against her husband Gaurav Gupta, may face another setback if her work permit gets cancelled, reports Mumbai Mirror . "When she recently turned up for one of the court hearings, she requested the bench to fast-track the proceedings because she couldn't stay in India for too long," an insider told Mumbai Mirror . The report also states that director Ekta Kapoor is no longer backing the 29-year-old Iranian model-actress after she filed the domestic violence case. Previously, renewal of Mandana's work permit was facilitated by Ekta's Balaji Motion Pictures as she was working on the film Kyaa Kool Hain Hum 3 . Mandana got married to Gaurav, a Mumbai-based businessman, on January 26 after dating for almost two years. The couple opted for a court wedding, followed by a wedding as per the Hindu rituals on March 5. Actor Shahid Kapoor along with his wife Mira Rajput headlined the guests at her wedding. Speaking to mid-day, Mandana alleged that she was 'thrown out of her matrimonial house' by her in-laws a few weeks ago. "I was thrown out of my matrimonial house seven weeks ago. I made desperate attempts to reconcile with them, but my in-laws didn't allow me back. Gaurav has cut me off," mid-day quoted Mandana as saying. 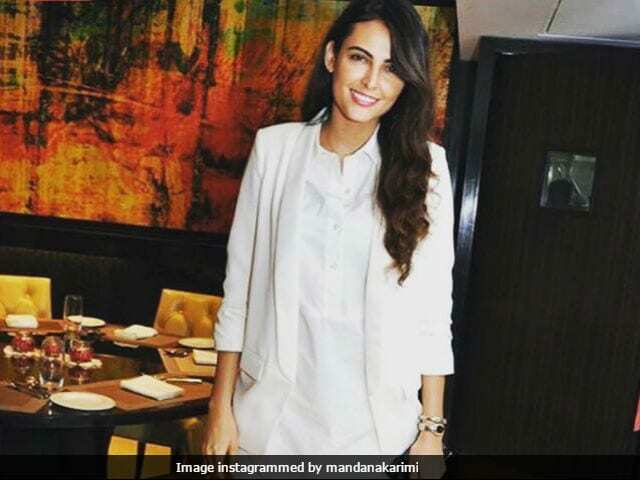 Mandana Karimi has starred in several television commercials with actors Shah Rukh Khan, Ranbir Kapoor and Kareena Kapoor Khan. She made her Bollywood debut with a cameo in 2015 movie Roy. Madana also featured in films like Main Aur Charles and Bhaag Johnny. She was last seen in Indo-Sino film Xuanzang.